A comprehensive online beginner photography course for anyone with a DSLR. 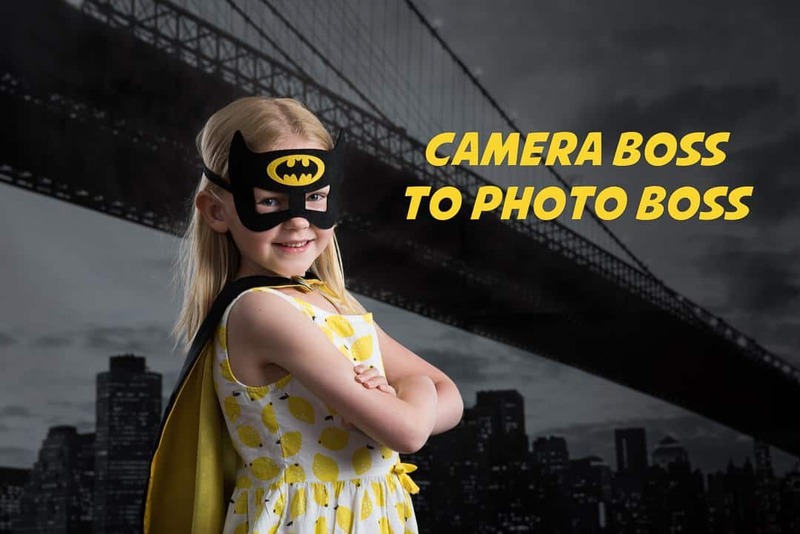 This course is ideal for parents who want to take great photos of their kids. If you bought a DSLR when they were born to capture every precious moment beautifully…and you’re still struggling. This is the course for you! Ensure you capture those precious memories from baby to teenager to adult. Of course it’s not just for parents. There’s great information for all beginner photographers to start taking sharp, beautifully composed, well exposed images. Camera Boss to Photo Boss builds on our foundation course, Be The Boss of Your Camera. So we’ll start with a quick recap of what you’ve already learned and then get into the details of how to take a great photographs. We’ll start at the beginning with a fully charged up DSLR and freshly formatted memory cards, then work all the way through to post production and editing.